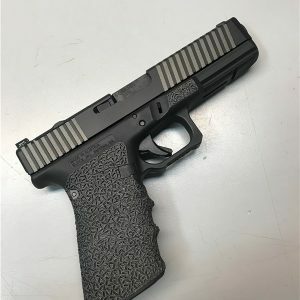 Presented today is the Signature Series Glock 19 GEN 3 by TMT Tactical. 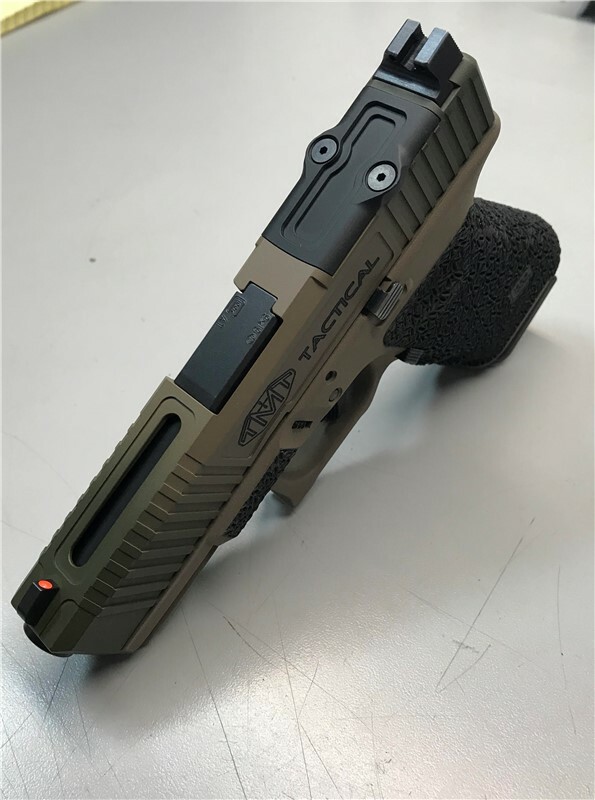 The slide has been beveled at the front, signature serrations in the front and rear, a top window cut into the front of the slide, custom milling, a Trijicon RMR cut, and Trijicon HD night sights. 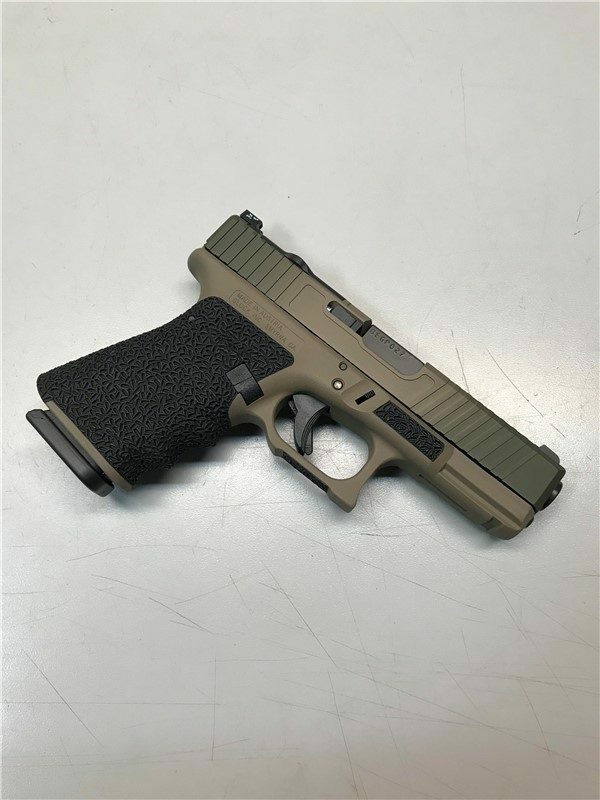 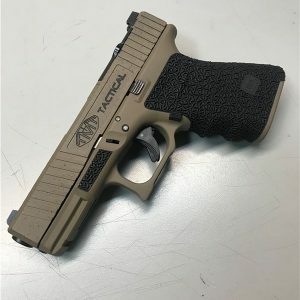 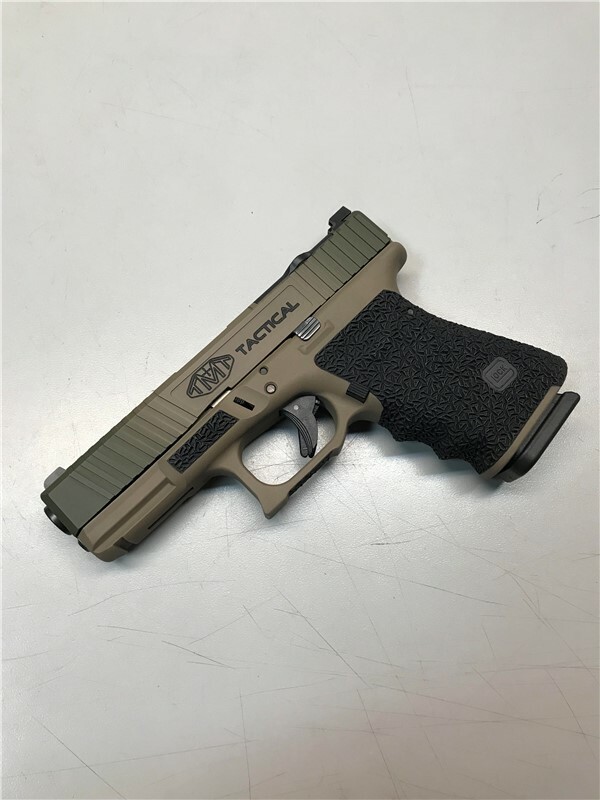 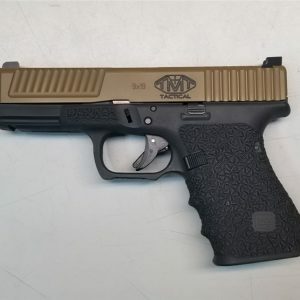 The gun features trigger work, a beautifully stippled frame, a weak-hand trigger guard, grip reduction, and finished in FDE cerakote. 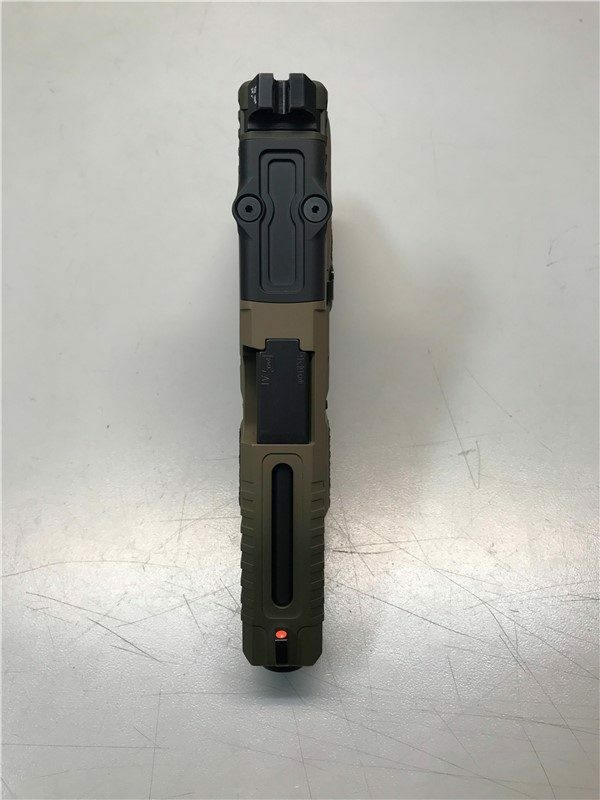 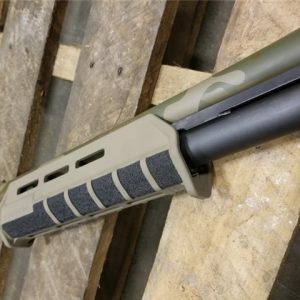 The slide is a signature fade of OD Green to FDE cerakote.